Fauxligraphy practice worksheets to help you learn faux calligraphy. 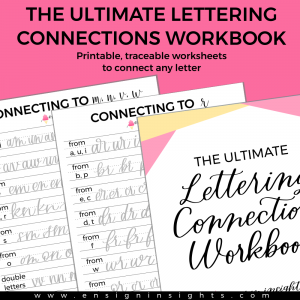 If you live in an EU country, for tax purposes please purchase this workbook here. Thank you! 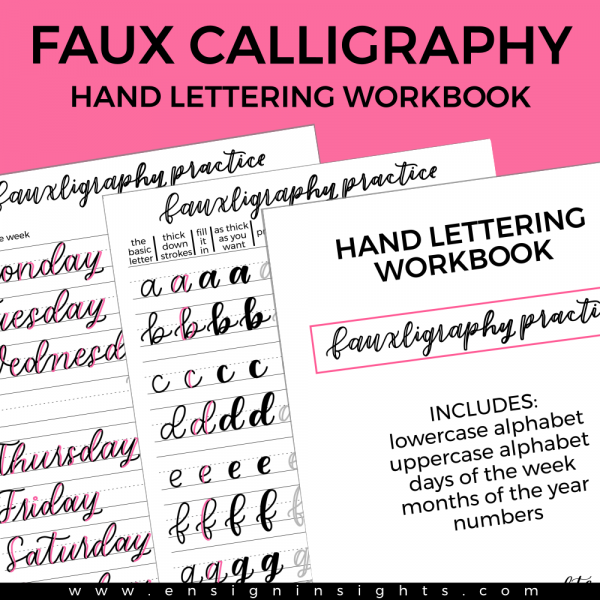 These hand lettering practice worksheets are for fake calligraphy or fauxligraphy. All you need is a pen or pencil, no fancy brush pens or calligraphy tools needed. You can use this technique to letter on a wood sign, on glass, in your bullet journal or planner. These practice sheets will also help as you practice and build muscle memory for calligraphy or brush lettering. 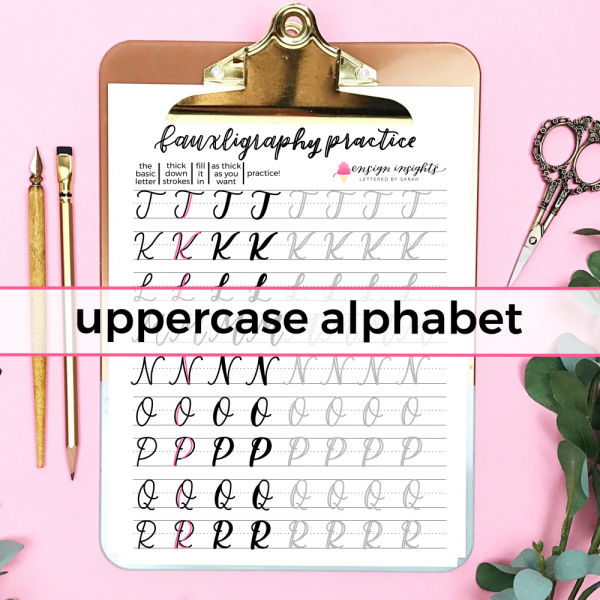 These are modern calligraphy practice sheets created by Sarah Ensign. 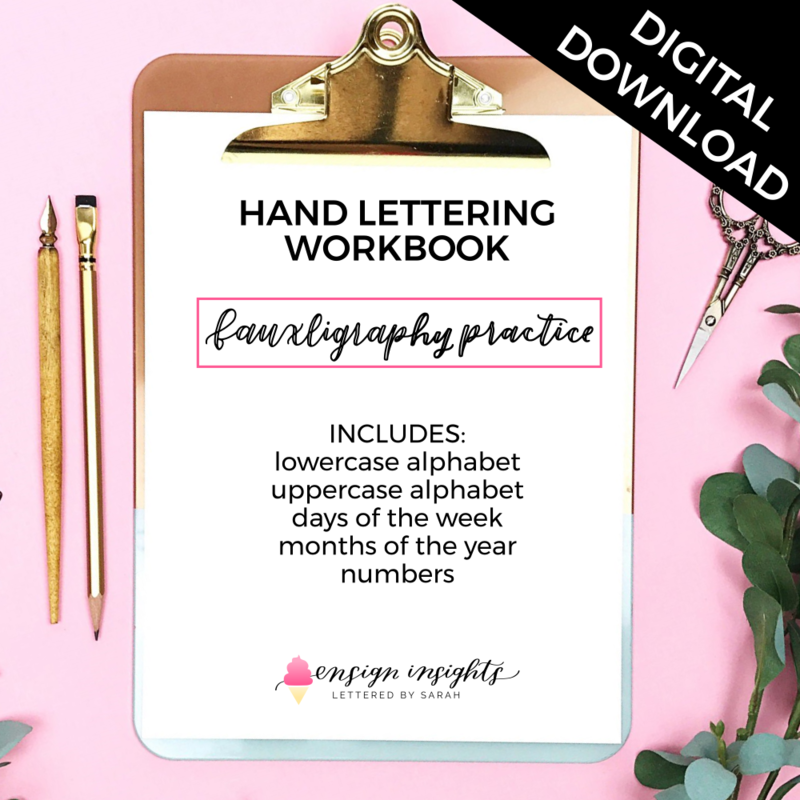 Your purchase includes a 10 page hand lettering workbook with the lowercase alphabet, uppercase alphabet, days of the week, months of the year, and numbers. These are words that everyone will use, especially if you have a bullet journal or planner. *Print these sheets as many times as you would like! * Download upon purchase because the file will expire in 30 days. If your file has expired, send me an email and I will help you. 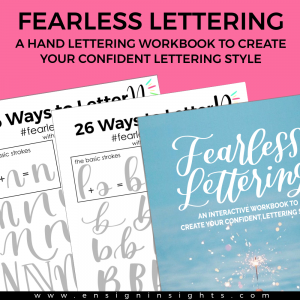 ::Download the PDF on your ipad and take a screen shot of the page you want to practice. Then import the photo into procreate.